Wall Street Journal on how China’s Economic Observer published a hard-hitting spread on the high-speed train wreck when others played down the crash on orders from Beijing. The Globe and Mail notes the passing of the Ruth Miriam (Babs) Asper, wife of broadcast giant, the late IzzyAsper. Peter Worthington's enjoyable recollection of the Toronto newspaper wars of the 1950s. MZ Media radio stations in Cobourg and Toronto put on shorter lease by the CRTC. There were issues related to late filings and insufficient Canadian content according to this story from The Wire Report. I's funny to anybody with a job but the reality of having to pull up and move to Siberia might make you want to just change your line of work. Her handwriting of course. From the Christian Post. Montreal Gazette writer Joelle Poliout surveys the wrecking=crew type resignation of the young CTV reporter Kai Nagata. The headline "Can journalism be saved?" is a bit off the mark. A better one would have been "Journalism will never die." It's hard to argue otherwise. Poliout's thrust is to sample the doubts and fears of young writers about the wisdom of their elders. That's okay. It's their job. A TV cameraman who captured the only known images of the gunman during his shooting rampage at a political youth camp in Norway says he had no idea at the time that the killer was in his viewfinder. Marius Arnesen, a cameraman for Norwegian public broadcaster NRK, was in a helicopter hovering more than 200 meters over Utoya island, where panicked youth were being massacred as they fled into the water on Friday. At the time, Arnesen says, he didn't realize the scale of the disaster, in which at least 68 people were mortally wounded. "We were circling the island taking shots of the island," he told The Associated Press on Wednesday. "It looked empty, so at first I thought police had evacuated the island. Then we saw people swimming and floating in the water. And then we started slowly realizing what was going on." His images show a man in dark clothing surrounded by bodies piled up on the shore and in the water. NRK released them to other media after blurring out the victims so they could not be identified. The fact that the NRK helicopter arrived before the police SWAT team that arrested Breivik has sparked criticism over the police response. Relatives of people on the island have also questioned whether the NRK helicopter put people in graver danger. More than nine million Canadians now own a mobile phone on Rogers Communications Inc.’s wireless network, but they aren’t doing much talking. Rogers reported a modest decrease in second-quarter profit, earning $410-million, down 9 per cent from the year before. The results beat the estimates of Bay Street analysts, but also exposed a worrying decline in the average monthly bill for wireless customers, which slipped 4.8 per cent. Cellphone users are texting more and making greater use of e-mail, the Web and Internet video on their handsets, giving a boost to data revenues. But there is a concern that more customers are not using their Rogers phones to actually talk, crimping an important source of wireless revenue. The trend is industrywide. Marvel, the fabled comic-book publisher that slid into bankruptcy protection in 1996 but has since become a multibillion-dollar action-flick factory, has a string of big-screen punch-ups on the marquee this year, including Thor; Captain America: The First Avenger; and, next summer, a new Spider-Man. With such a rich stable of comic-book heroes to exploit, the $4-billion that The Walt Disney Co. paid for the company in 2009 looks like a bargain. Except for one problem. Behind the onscreen explosions and feats of strength is a quieter but no-less-fiercely fought legal battle over the copyrights to some of Marvel’s signature characters, including the Incredible Hulk, the X-Men, the Fantastic Four, Iron Man, Thor, The Avengers, and even Spider-Man. It’s a fight that threatens Disney’s profits from Marvel’s movie mayhem, and strikes at the heart of the risk-averse economics of 21st century Hollywood, where studios are increasingly choosing recognizable superheroes or other “branded” characters for big-budget action films, banking on existing fan bases. The Marvel case began in 2009, when the heirs of comic-book artist Jack Kirby (pictured) – three daughters, Lisa, Barbara and Susan, and son Neal – sent Marvel “termination notices,” seeking to regain the copyrights to characters and stories created or co-created by their father, as well as a percentage of all profits from their use, beginning in 2014. Click on the title to read the whole story by the Globe's Jeff Gray. Rogers Communications Inc. on Tuesday posted better-than-expected profit in its second quarter, even as its wireless operations came under pressure from intense competition. For the period ended June 30, Rogers had earnings of $467 million, or 85 cents a share, compared with $464 million, or 80 cents a share, in the same period last year. Revenues came in at $3.1 billion, up three per cent largely on growth in its media segment.Analysts had forecasted earnings of 81 cents a share in the quarter on revenue of $3.1 billion. Val Sears to edit new online newspaper in Almonte, Ont. The CBC web page notes that a prominent group of retired Canadian journalists in the Almonte, Ontario, area have banded together for a new hyper-local online news venture. The Millstone, which bills itself as "an intelligent and informed news source" for residents in Almonte, Pakenham, Mississippi Mills and Carleton Place, is the brainchild of the Almonte Press Club. The public journalism project, available at www.millstonenews.com, carries no ads and is run by a volunteer staff. The website will be edited by Val Sears, who has been often referred to as one of the most important political journalists of his day, having written for the Canadian Press, the Toronto Telegram and the Toronto Star. Sears was drawn out of retirement to help with the launch, saying he missed the work. Some years back he wrote a memoir titled, "Hello Sweetheart, Get me rewrite!" Click on the title to read the whole CBC story. One British newspaper has already been felled by the escalating scandal over the interception of public figures’ voice mails. Now storm clouds are gathering over the Trinity Mirror group, the publisher of Britain’s left-leaning Mirror tabloid, amid allegations that phone hacking was rife there as well. James Hipwell, (pictured) who used to work at the Mirror, said hacking was a common tactic among his former colleagues. “It was seen as a bit of a wheeze, slightly underhand but something many of them did,” James Hipwell was quoted as saying by The Independent on Saturday. “After they’d hacked into someone’s mobile they’d delete the message so another paper couldn’t get the story,” Hipwell said. The allegation isn’t exactly new. Hipwell, who was fired from the Mirror in 2000, first aired the claim nearly a decade ago. His dismissal from the Mirror, coupled with a conviction for market manipulation several years later, may have also gone some way toward denting his credibility. The Weather Network had its broadcasting licence renewed until 2018 by the Canadian Radio-television and Telecommunications Commission Friday, but the national regulator might as well have put the word ‘forever’ in place of an actual date. By virtue of its new position as operator of a National Alert Aggregation & Dissemination System (NAAD), which the channel’s parent company, Pelmorex Communications Inc., offered to create in 2009 in exchange for a guaranteed spot on all basic cable TV packages, The Weather Network is now a permanent fixture of Canada’s media landscape. Brian Vallée, former CBC "fifth estate" producer, Toronto Star reporter, author and advocate against violence against women, died on Friday of cancer at age 70. His many accolades include an Oscar in 1983 for John Zaritsky’s documentary, Just Another Missing Kid. Vallée was a researcher and associate producer on the film. "In surveying more than 100 editors across North America, I found that few news organizations consider the withdrawal of charges a valid reason to remove the original reports of those charges from their websites and archives. “'It’s not our job to expunge a story saying someone was convicted of a crime simply because a court expunged the conviction,'one editor said. "Still, news organizations do have some responsibility here. The Star has a policy that stipulates it must report the outcome of any criminal charges it has reported. "There had been no follow-up reporting on this man’s case when this came to my attention. "The newsroom has now verified that these charges were withdrawn. In line with the Star’s practice, a note has been appended to the top of the Star’s original online report to make it clear when this man’s name is searched through Google that the charges were dropped." The National Post is reprinting a story from Slate magazine that puts Murdoch in perspective. i.e. he did not invent "yellow journalism." "It was 1 a.m. on a hot July night when detectives marched into the offices of the New York World. “Where’s the head?” they demanded. "In the summer of 1897, that question meant just one thing in Manhattan newsrooms, and it wasn’t a request to meet the managing editor. The head everyone sought was of William Guldensuppe, a masseur who had disappeared in late June from his Hell’s Kitchen apartment. He’d reappeared scattered in pieces along the Lower East Side, the Bronx and Brooklyn. What was still missing, though, was his head — which, rumor had it, a jealous lover had hidden inside a block of plaster. "To William Randolph Hearst, the crime was a perfect opportunity to trumpet his newly launched New York Evening Journal. Hearst offered a whopping $1,000 reward to solve the crime, and even formed a “Murder Squad” of reporters who were ready to resort to flashing badges and pistols to make citizen’s arrests. Yet his stunts were merely improvements on the carnivalesque populism of rival publisher Joseph Pulitzer. . . ."
Elwy Yost, the longtime affable and enthusiastic host of TVOntario's "Saturday Night at the Movies," has died at the age of 85. He hosted the show for 25 years before he retiring in 1999. His interviews with classic film stars and the directors, composers and screen-writers behind the camera would run between the films on "Saturday Night at the Movies." York also worked for CBC and hosted "Magic Shadows" on TVO and penned four booked, including "White Shadows," published in 2003. After retiring from TVO, Yost moved to British Columbia and he died Thursday in West Vancouver. It was an offer that the junior newspaper in Chicago couldn't refuse. Of course, we don't know the exact price, but it had to make closing down it's relatively new printing plant worth the decision. 400 people will lose jobs in that move. The story says that the Sun-times will save $10 million annually. It's all very friendly now. News organizations all over the world (link above) are announcing plans to broadcast the Rupert Murdoch testimony before parliament Tuesday. It seems likely one will have many sources to choose from including CBC and CTV cable channels. Keeping in mind the time difference, some nets are saying you may expect coverage to begin about 9.30 am EDT. Fox News, which is owned by Murdoch's firm, seemed to have climbed on board tonight with the story leading the news. It will also broadcast parliament live. Previously Fox News had seemed to play the story as incidental. News Corp "train wreck" -- how bad is it? As Rupert Murdoch is set to testify before British Parliament Tuesday over the phone-hacking scandal that has roiled politicians, cops and legions of Brits once titillated by his tabloid press, the billionaire's media empire is showing more signs of unraveling. Shares of Murdoch's News Corp. (NWS) slumped 4.3% Monday to $15.40, continuing a string of losses that have shaved more than $8 billion off the company's market value since July 8 and igniting speculation over how long Murdoch and family members will continue to hold grip over the firm, whose U.S. holdings include The Wall Street Journal, Fox TV and film studio 20th Century Fox. Late Monday, credit agency Standard & Poor's placed News Corp.'s credit rating on watch and said it may downgrade the company's credit. 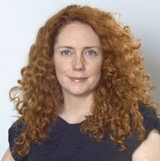 Now Rebekah Brooks has been arrested in the wire-tapping and hacking investigation. According to BBC business editor Robert Peston, News International was not aware that Mrs Brooks would be arrested when her resignation was being discussed at the company on Tuesday and Wednesday of last week. Who's policing Canada's news organizations? Canadian Press opus worrying about Sun News pulling its papers out of the OPC. A couple of gentlemen commentators are quoted respectively that tightened budgets seem to bode ill for "public accountability" and, alternatively, that the social media has to an extent made old fashioned press councils irrelevant. Here is a Washington Post blog that has tracked some coverage of the News of the World scandal and concludes Fox is having trouble taking about it. Les Hinton was head of the British publishing arm during the years when the worst abuses were taking place. “That I was ignorant of what apparently happened is irrelevant, and in the circumstances I feel it is proper for me to resign from News Corp. and apologize to those hurt by the actions of News of the World,” he said. Rebekah Brooks, the News International chief executive, has resigned after 11 days of mounting political pressure over the phone-hacking scandal. Brooks announced her decision to News International staff in Wapping just before 10am on Friday, saying her resignation had been accepted by Rupert and James Murdoch. She said she no longer wanted to be a "focal point of the debate" surrounding the company's future and reputation. She stopped short of issuing a personal apology. FBI enters Murdoch case as investigation spreads to U.S. The scandal plaguing Rupert Murdoch’s News International in Britain is migrating to its New York-based owner, News Corp., with a report that the FBI has opened an investigation into allegations the company broke U.S. laws in the alleged hacking of phones belonging to 9/11 victims. Citing an anonymous source, the Associated Press is reporting that the FBI will look into allegations made earlier this week by a former New York police officer, now working as a private investigator, that he was asked by News of the World to hack into voice mails on mobile phones belonging to 9/11 victims. "Andrew Rossi knew that journalists could be cantankerous well before he made a film about the inside workings of The New York Times. In fact, it was just that quality – as embodied in a cranky, dishevelled, sarcastic wreck of an old gumshoe reporter named David Carr – that first inspired Rossi to make the film Page One: Inside the New York Times. "But it wasn’t until The New York Times itself published a scathing review of the result that Rossi felt the sting himself. The review, penned by freelance media pundit Michael Kinsley, contained “wild inaccuracies” and “gross misstatements,” the filmmaker complains, sounding for a moment almost like one of the sputtering victims his film’s hero skewers so neatly in his dogged pursuit of the big story. But the reaction among ordinary people couldn’t be more different, according to the filmmaker. “We’ve found that outside the media elite towns people love the film,” he says. . ."
Suns pulls 27 papers out of the council, complaining that it is just too politically correct. By the Sun''s numbers, that leaves only 10 papers still in the OPC. CBC/Radio-Canada could see its federal funding cut in the next budget, Heritage Minister James Moore says. "The CBC has to do its part," Moore said, while speaking to the CBC talk show Q this week. "The idea that the CBC can't find five per cent efficiencies . . . to give back to the broader economic framework is silly. Of course the CBC will be part of this overall process." Postmedia Network Canada Corp. reported Tuesday a $3.9 million net loss for the third quarter of 2011. “The slow and sporadic recovery in the Canadian economy has affected both consumer and advertiser confidence, and we’re seeing that in our industry,” Paul Godfrey, president and CEO of the company, said in a release. The company said net earnings for the same period last year were $40.6 million, but added that earnings are not directly comparable between Postmedia and the former Canwest Global Communications Corp., which was split up last year when Shaw Communications Inc. bought its broadcasting assets. The company said its digital first strategy delivered six per cent audience growth during the quarter and an increase of eight per cent in digital revenues. Print advertising revenue declined $13.8 million (2.5 per cent) during the quarter and print circulation revenue dropped $5.3 million (2.9 per cent). The Atlantic magazine writes:Britain's Guardian newspaper, founded in 1821 as the Manchester Guardian, is making journalism history. The newspaper, owned and subsidized by the Scott Trust, has been instrumental this past year in two major episodes that are defining the ethics and practice of contemporary journalism. A year ago, the Guardian sought out Julian Assange who was then just starting to attract attention as the founder of an organization called WikiLeaks. The full and fascinating story of how the Guardian handled the WikiLeaks material is captured in the book WikiLeaks: Inside Julian Assange's War on Secrecy by David Leigh and Luke Harding, two of the newspaper's lead investigative reporters (and published in the United States by PublicAffairs in February).Now the Guardian is again at the center of a news story of enormous importance, both in substance and in how journalism functions. The newspaper has taken the lead in breaking open the phone- and data-hacking scandal that poses probably the most serious threat to the future of Rupert Murdoch's News International in its decades of ascendancy as Britain's most powerful news enterprise (aside from the BBC) and, it is becoming increasingly clear, a source of criminal corruption.Click on the title to read the whole story. The general reaction to media tycoon Rupert Murdoch’s decision to shut down the 168-year-old British weekly, News of the World, is that it’s something of a journalistic tragedy. In my uninformed view, it’s more blessing than tragedy. It was a professional, competent, catchy, powerful and widely-read newspaper, but it was also an awful newspaper. Hacking into private phone calls and intruding into criminal cases, secretly feeding off relatives on soldiers killed in Afghanistan, bribing cops and chequebook journalism, were all standard fare for the newspaper, which boasted the largest circulation of any newspaper in Britain, at 2.7 million copies per Sunday. That’s pretty impressive, but it’s still a decline from the 9 million or so who bought the paper around the time that Rupert Murdoch did in 1969. Conrad Black must report to prison by Sept. 6, a federal court in Chicago said. He was sentenced to an additional year and has been out on bail during his appeal. Lord Black’s original 6 1/2-year term was reduced to 3 1/2 years last month by U.S. District Judge Amy J. St. Eve after the former newspaper publisher successfully appealed two of three mail fraud counts of which he was convicted in 2007. St. Eve, in an order dated July 5 and posted on the court’s electronic docket today, recommended that Lord Black, 66, be returned to the low-security prison at Coleman, Florida, where he spent 29 months before being granted bail last year. Publishing the words of a dying police officer as he lay trapped under an overturned minivan was an appalling breach of ethics and trust and could jeopardize the investigation into the death, the officer's chief says. In a letter of complaint, York Regional Police Chief Eric Jolliffe (pictured) called on media outlets to apologize to Const. Garrett Styles' family and remove the radio transmissions from their websites. "The transmissions depict Const. Styles in obvious pain and distress," Jolliffe writes in his letter to the Ontario Press Council and Canadian Broadcast Standards Council. "I am, quite frankly, appalled that the media would post these audio recordings in such a callous fashion." Several media outlets, including The Canadian Press, published or broadcast parts of Styles' call over his police radio. 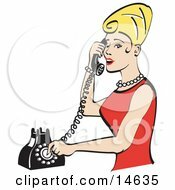 Media outlets said the call was of compelling news interest and that they took great care in which parts they used. None said they intended to apologize or remove the material from their websites. "The Canadian Press believed the call to the dispatcher was an important part of the story of the death of the officer and that no account would be complete without some telling of it," said Scott White, editor-in-chief of the news service. "In this case, Styles' professionalism and stoicism were evident in the recordings, and the public should know of that." The CBC said it was "comfortable" with its handling of the material, which involved a heavily edited version of the transmissions. "One of the things we take into account is sensitivity with regards to victims of crime," said Jeff Keay, a spokesman for the public broadcaster. Stephen Ward, a Canadian journalism ethics professor at the University of Wisconsin-Madison, tended to side with Jolliffe about the emotional effect of using the transmission. Planetguys comment: It appears that police in Canada would like the media to go away. The incident was tragic but it was news. The publication was no doubt hard on his family but so was his death. It's time for Canada's police chiefs to recognize freedom of the press. Eric Morrison has stepped down as president of the Canadian Press after 14 years, the news agency has announced.The move comes after Morrison spearheaded a two-year initiative to revamp CP's web presence and multimedia capabilities during a very volatile time for the almost century-old news service. "He was the driving force behind technological innovations in areas such as web, mobile and video, which transformed CP into a multimedia news agency, and he was passionate about delivering on the organization's core mission of providing trusted, round-the-clock, real-time news and information in English and French for all media platforms," said the CP board in a statement. In 2010, Morrison received the President's Award from the Radio and Television News Directors Association, the organization's highest award. The newswire, which began as an act of Parliament, has come under increasing financial pressure in recent years since the departure of key members, including the Sun Media newspaper chain, of which QMI Agency is a member. In 2010, the service stopped being a co-op when Torstar Corporation, The Globe and Mail and Square Victoria Communications Group announced they invested in a new for-profit entity, Canadian Press Enterprises Inc., to take over its financially troubled operations. The Canadian Press has been reported to have a pension shortfall estimated at $34.4 million. "The structure to allow the future success of The Canadian Press has now been put in place and the company has thriving digital products and services and an award-winning collection of journalists, so now is the perfect time for a change," Morrison said in the release on Tuesday. An interim leadership board will oversee the agency's day-to-day operations while it searches for Morrison's successor. The team will be led by Scott White, CP editor-in-chief, and Sandra Clarke, CP chief financial officer. Also included on the team are Jim Jennings, associate publisher of the Globe and Mail, and Neil Campbell, director of business development at the Toronto Star. "Fast-growing online TV and movie services, such as Netflix, eat up bandwidth, but these so-called “over-the-top” services also threaten to upend the revenue stream of traditional broadcasters, so these corporate giants have banded together to publicly ask the commission to regulate these new competitors. The CRTC is also wading through dozens of written submissions about these “over-the-top” programming services, even though the commission decided just a few years ago that it was going to take a hands-off approach to the Internet." The phone hacking crisis has jeopardized Murdoch’s $19 billion deal to take full control of satellite broadcaster British Sky Broadcasting. British Culture Secretary Jeremy Hunt, who is responsible for dealing with the proposed bid, said he would seek advice as to whether the scandal raises questions over whether News Corp. is “fit and proper” to hold a broadcasting license. Shares in British Sky Broadcasting dropped sharply Monday amid doubts over the company’s ability to take full control of the lucrative satellite broadcaster. Murdoch owns 39 per cent of the broadcaster, but wants to buy the rest. The opposition Labour Party also turned up the pressure. Its leader, Ed Miliband, is working to force a vote in the House of Commons on a motion asking the government to delay a decision on BSkyB. The 80-year-old Murdoch, the News Corp. CEO, has publicly backed News International’s chief executive, Rebekah Brooks, who led News of the World when its reporters committed some of the most egregious ethical lapses. In a blog entitled "Freedom 24," Kai Nagata spews about how he has become disillusioned with journalism and quit his CTV staff job as bureau chief in Quebec City. Britain's bestselling Sunday tabloid the News of the World signed off with a simple front page message: "THANK YOU & GOODBYE," leaving the media establishment here reeling from the expanding phone-hacking scandal that brought down the muckraking newspaper after 168 years. Journalists crafted the newspaper's own obituary before sending the tabloid's final edition to the printing presses Saturday night, apologizing for letting its readers down but stopping short of acknowledging recent allegations that staff paid police for information. "We praised high standards, we demanded high standards but, as we are now only too painfully aware, for a period of a few years up to 2006 some who worked for us, or in our name, fell shamefully short of those standards," reads a message posted on the tabloid's website. "Quite simply, we lost our way. Phones were hacked, and for that this newspaper is truly sorry." Rupert Murdoch, whose media empire owns the paper, arrived in London on Sunday. 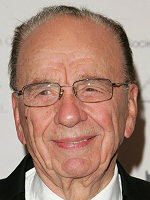 Buying the News of the World in 1969 gave Australian-born Murdoch his first foothold in Britain's media. He went on to snap up several other titles, gaining almost unparalleled influence in British politics through the far-reaching power of his papers' headlines. Now he is facing a maelstrom of criticism and outrage over the sequence of events set off by allegations the paper's journalists paid police for information and hacked into the voicemails of young murder victims and the grieving families of dead soldiers. A Toronto Sun photograph taken at the precise moment a gust of wind lifted the Duchess of Cambridge's dress is generating some buzz online. The photograph, taken on Thursday but only now coming to light, shows a flash of flesh as the hemline of Kate's yellow skirt gets tossed about in windy conditions shortly after the royal couple's arrival in Calgary. Other media outlets — particularly those in the U.K., where they track the every move of the Royal Family — wrote stories and blog entries about the so-called "wardrobe malfunction," but published tamer pictures. Several people took to Twitter to express their disdain at the Sun's decision to run its photograph, which appeared in Saturday's editions of the paper, and also online. One woman called the decision "wholly classless." The Canadian Press opted not to distribute a similar photograph. Pictures Editor Graeme Roy says the image would have "served no purpose" beyond embarrassing Prince William's wife. The CRTC is considering re-opening the discussion on setting rules for online broadcasters, the start of a process that could affect what kind of videos that users can get online. The regulaor this week ended a fact-finding period as it looks at starting public consultations on so-called over-the-top services like Netflix and YouTube two years sooner than planned. Over-the-top refers to internet use over and above surfing and email, like streaming television or movies through online video services. The regulatory body dealt with the issue in 2009 and decided there was no need to regulate such services, but that it would hold new public consultations in 2013 and issue an updated decision in 2014. 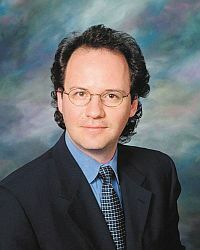 The fact-finding period is unusual, since it isn't a full public hearing, said internet law expert Michael Geist, who holds a Canada Research Chair in internet and e-commerce at the University of Ottawa. "It's not clear exactly what that is," he said. "It's either consulting, in which case it's a full public process, or it's not." Geist said he expects the CRTC to announce by sometime this fall that it will hold hearings into the issue. "Die, Tabloid, Die!" N.Y. Daily News crows. From front-page splashes to slim stories buried inside, readers of London and New York newspapers owned by News Corp were greeted on Friday with varied coverage of the shutdown of Rupert Murdoch's weekly News Of The World. The Sun, which dominates the British tabloid market during the week in the way the News of the World did on Sundays, splashed the closing of its 168-year-old sister paper due to a scandal involving controversial reporting tactics under the front-page headline "World's End." Friday's front page exposure marked a departure from The Sun's previous practice of making little mention of the phone-hacking scandal. Murdoch's Manhattan-based tabloid, the New York Post, buried its Friday story inside its business section with a slim nine-paragraph story on page 29 under the headline "The End of News of the World." Rival the New York Daily News ran a page 3 story: "Die, Tabloid, Die!" Terry DiMonte, known to Calgary radio listeners as the morning man on classic-rock station Q107 FM, is heading back to his longtime home in Montreal. DiMonte made headlines in 2007 when he left his gig at CHOM-FM in Montreal -a city where he was regarded as an institution after 23 years on the air -to take a job at Q107. DiMonte was lured to the Calgary station with a guaranteed five-year contract (which saw him earning a rumoured $450,000 a year). It was a big investment that perhaps didn't pay off for Corus Radio, the company that owns Q107, as that stayed a middle ranking station in the local ratings, by and large. Kevin Newman, the former lead anchor on Global's national newscast, has been hired as the co-host for CTV's Question Period as well as Bell Media's "Digital News Evangelist," the network announced. He starts on Aug. 22. As the co-host of Question Period, Newman will join long-time co-host Craig Oliver. When Newman announced last year that he was leaving Global, there was speculation he was a candidate to replace retiring CTV National News lead anchor Lloyd Robertson. That job went to Lisa LaFlamme, who takes over from Robertson in September. "As a recent graduate, I’ve had an extraordinary week of work experience at The Daily Telegraph. The appalling News of the World phone hacking scandal revealed the worst excesses of tabloid journalism, and has culminated in the closing down of one of the most widely read newspapers in the English-speaking world. Now, it seems, David Cameron is set to wage war on Britain’s free press. Fleet Street is reeling in shock. "There seems to be a consensus that the Prime Minister has today questioned the very foundations of this industry. Instead of defining journalism as a public service – whose job was to keep a check on those in power – he used one newspaper’s illegal phone hacking to launch an attack on the Press more generally. He even, disingenuously, compared the scandal to that of MPs’ expenses. "This week – and the mess that could follow – gives student journalists a lot to think about. We have all been asked by friends and parents: “Are you not concerned about the future of the industry?” Now it’s more urgent. The rise of the internet and unregulated bloggers, who comment scurrilously on current affairs, has been seen as the greatest threat to traditional media. But today an even greater one emerged from the opposite direction. How will the press be regulated by the Government? What will this regulation mean for the content newspapers have produced, in one form or another, since the 17th century? . . ."
Very thorough take out by PBS News on the News of the World scandal from the beginning. Car makers Ford, Vauxhall and Mitsubishi Motors, along with Britain’s biggest high street lender Lloyds and billionaire Richard Branson’s Virgin Holidays, have dropped advertising in the News of the World due to allegations of hacking by the newspaper. A refreshing unintended consequence for the tab's owner Rupert Murdoch for its slightly insane way of collecting news -- tapping phones. Flattering story in the Star on this. Interesting Reuters piece recalling the All -Casey-All- The-Time hysteria. It's being called a "Victory for Reasonable Doubt" but few believe the verdict was not a gift. It's hard to know who to like least in the minor category scandal of Tony Clement taking a picture of Kate and Will standing watching fireworks. Some media are bellowing about "freedom" while Clement looks like a star-struck country boy who not only secretly snapped the picture but also -- OMG -- tweeted it. A caveat. The actual picture is not included with the attached Sun story so you will have to ferret it for yourself. Might not be worth time actually. Comments are fun. They split roughly between "only a minister of that Karla Homolka eyes Stephen Harper could do this" to "Drop dead you creepy scribblers." For those who care to interpret the murky motivations of mosque and state in Saudia Arabia, it may be of note that a prominent cleric is going to sue the Guardian newspaper. Sheikh Saad Bin Naser al-Shethri, who was fired by King Abdullah from the Gulf country’s high council of scholars last year, said the article written by the Guardian’s reporter Jason Burke on Friday is incorrect on the grounds that he did not refer during the interview to the Monarch’s reform programmes. 90-minute television documentary covers the well known assaults on the old ways of doing things. They say desperate times require desperate measures. Newsweek was worth so little recently that someone was able to buy it for $1 (U.S. at that). The editor Tina Brown has to be given credit for guts. As Kate and William fly into Canada, Kate is shown on the cover of the magazine with her dead mother-in-law. Here is an excerpt from a TV interview in which Brown says essentially that any publicity is good publicity. Publishing the words of a dying police officer as he lay trapped under an overturned minivan was an appalling breach of ethics and trust and could jeopardize the investigation into the death, the officer's chief said Thursday. In a letter of complaint, York Regional Police Chief Eric Jolliffe called on media outlets to apologize to Const. Garrett Styles' family and remove the radio transmissions from their websites. Just before dawn on Tuesday, police say Styles was dragged 300 metres before being pinned under a minivan he had stopped. In the transmission, the married father of two young children pleads for someone to get the minivan off him, while the dispatcher urges him to keep talking and tells him help is on the way.